Diving is a lot about metrics, air consumption, depth, ocean current, water temperature and more. The experience is colored by each diver’s focus. My experience for this set of dives could have been characterized by all the small details that can go wrong. Days later, I’m still itching from the stings of baby jellyfish across my legs and arms. Small knicks on my hands, knees and elbow are still healing from contact with fire coral and barnacles. Pondering all the possible adjustments for improving gear and physical conditioning for the next dive, I choose to recall the minutes differently. I remember the hammerhead shark swimming by on an ascent. I remember the turtle speeding away from the light of my flashlight during a night dive. I remember the stingray gliding above the sand and reef. I remember moving about the hull of a boat wreck with barracudas. Three days out from this trip, I can still close my eyes in silence and feel the rocking of waves on a boat, back and forth repeatedly. Men aren’t meant to be under the glow of office fluroscents. Men are meant to be under the open sky. 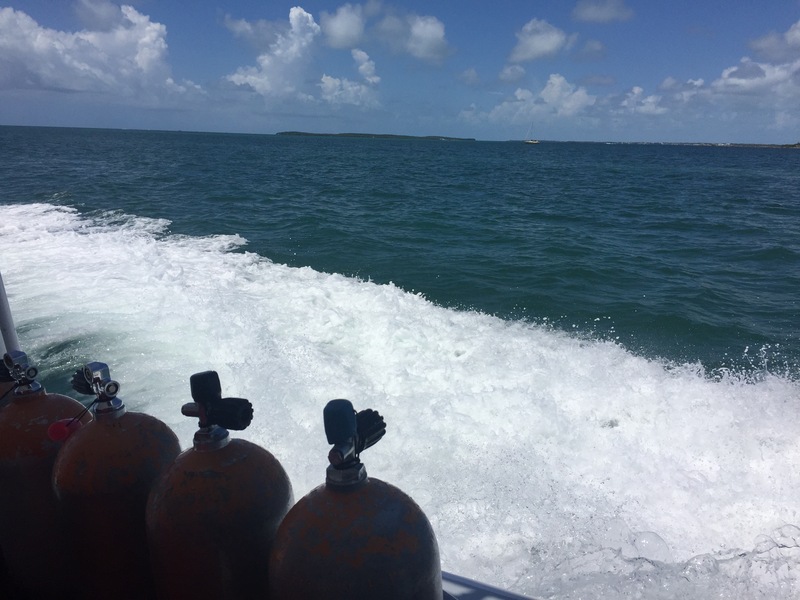 This entry was posted in South Florida, Travel and tagged diving, Key Largo. Bookmark the permalink. Gorgeous! I just got back from The Keys and am linking my post below about it 🙂 Hope you check it out and hope you follow back! I am right there with you. Love the description.